The new Nintendo app is a phenomenon, but would you do these stupid things? If you're sat in a maternity ward on the day your child is due to be born, there's a good chance the woman in your life wants your attention to be fixed on her and the impending birth. Well, if your one Jonathan Theriot from Texas, there's a good chance you've got Pokémon Go open while you're other half is led on her hospital bed. Theriot, not to miss an opportunity, saw a wild Pidgey make an appearance and soon threw a Pokéball to add it to his collection. After screenshotting the scene of an augmented reality pidgeon sat near his pregnant missus he showed her what he was up to. Apparently she found it quite funny, although we're not sure every imminent mother would agree on the eve of a birth! No, seriously. Someone really did stumble across an actual dead person while staring into their phone in search of virtual Pokémon. Shayla Wiggins, a 19-year-old Pokémon Go player from Riverton, Wyoming discovered a corpse floating the the 195-mile-long Wind River. ""I was walking towards the bridge along the shore when I saw something in the water," Shayla told KTVQ. "I had to take a second look and I realized it was a body." Despite a warning displayed when you first launch the app, most players aren't really bothering to take in the world around them while they're staring into their smartphones in hopes of spying the tell-tale rustle of leaves that reveals a wild Pokémon. For the Northern Territory Police in Australia, warning users to look up and check the road in front of them before crossing (and avoid getting wiped out by a passing car - who's probably playing Pokémon Go as well) is just the start of their Poké problems. According to the Aussie coppers, bold Pokémon Go players have been crowding outside local police stations in search of Sandshrews and more (the game uses Pokémon from the original Pokémon Red/Blue/Green games). Some have even been trying to get into the station - not to report a crime, but to flick a virtual ball at a cartoon rat while a cop considers making an arrest. Well, this was going to happen eventually - although we're a little shocked it took the criminal underbelly of society less than a week to find a way to use Pokémon Go to rob people. According to police reports, four ne'er do wells in O'Fallon, Missouri used lures (a special in-game item that attracts more Pokémon to PokéStops - think of them as landmarks around a given town or city). The robbers used these beacons on PokéStops in secluded areas then proceeded to rob poor unsuspecting players at gunpoint. The four robbers were apprehended by police in the early hours of Sunday morning, but not before shaking down nine Pokémon Go players for all their real life loot. When Pokémon Go isn't attracting hundreds of players or more to Central Park in New York (apparently the huge park in the centre of the city is a haven for virtual beasts) and the Sydney Opera House in Oz, the Nintendo-developed app is sending players across the world to the oddest of places in search of new Pokémon. Since the game uses randomised encounters on a virtual map of your location, players have found themselves in everything from grave yards to strip clubs. 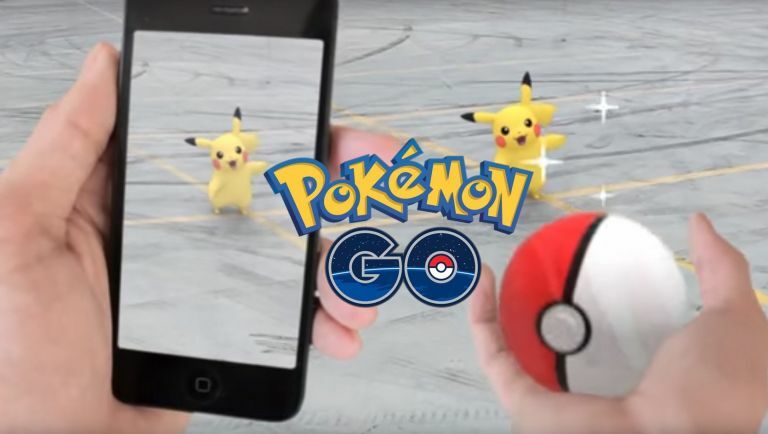 Pokémon Go is a new gaming app from Nintendo that uses augmented reality to turn your smartphone into a Pokémon collecting simulator. It uses GPS to map your location and places items and Pokémon near popular landmarks and in random locations. It's already proved to be a mega hit in the US, with an official EU and UK release a few days away at most.